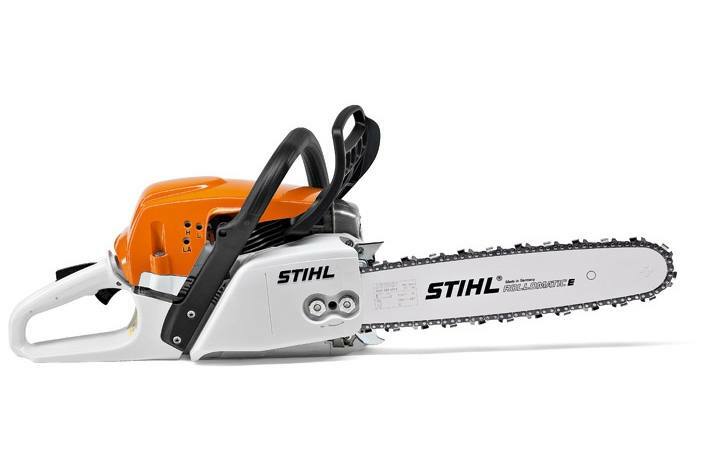 The MS 271 chain saw is a mid-range unit that is part of STIHL's new generation of fuel-efficient, low emission chain saws. Designed with a stratified scavenging engine and modern construction technology, it features enhanced ergonomics and advanced anti-vibration system for operator convenience and comfort. Other features include toolless fuel and oil caps with retainers, transparent fuel tank, side-access chain tensioner and a long-life air filtration system for ease of care, making this high-performance saw the right choice for the landscaper or farmer. Heated carburetor (V): By changing the chain saw from summer to winter operation, the intake air is pre-heated over the engine fins. This ensures that the carburettor does not ice up and you can continue working in freezing temperatures. Reduced-emission engine technology: 2-stroke engine with stratified charge. A fuel-free layer of air is created between the burned charge in the combustion chamber and the fresh charge in the crankcase, reducing the amount of fuel lost during the charge cycle. This results in more power with a lower weight, up to 20% lower fuel consumption than regular 2-stroke engines and significantly reduced exhaust emissions. Advanced combustion technology: Four overflow channels swirl the fuel-air mix before ignition, allowing for optimum combustion and highly efficient performance. The result is lower fuel consumption and high torque across a broad rpm range. 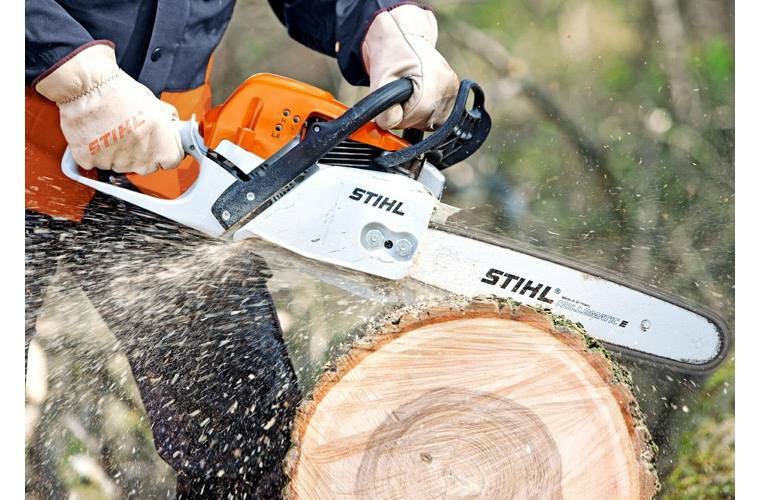 Pre-separation air filtration system: STIHL long-life air filtration systems with pre-separation achieve perceptibly longer filter life compared with conventional filter systems. Air drawn in is swirled. The larger, heavier particles are ejected. The pre-cleaned air is routed to the air filter via the pre-separator duct.